Because we believe that small improvements can create big opportunities, Disqus understands the importance of exposing local San Francisco students who are interested in tech and computer science to Real Live Professional Engineers. If we’re going to grow our community, let’s make sure we’re building on a firm foundation right? Flash Back to 2015: We partnered with the Maven LGBTQ Youth Tech Camp to host several days of their summer camp, which was a total success! Three days of high energy teenagers in our office made a huge impact on us, and we hope on them as well. Fast Forward to 2016: A Maven participant is serving as a Teacher’s Assistant in a computer coding class at City Arts & Tech High School through CodeHS, courses created to spread the knowledge of computer science, and they have their teacher contact Disqus because they know that a field trip to Disqus would be epic! 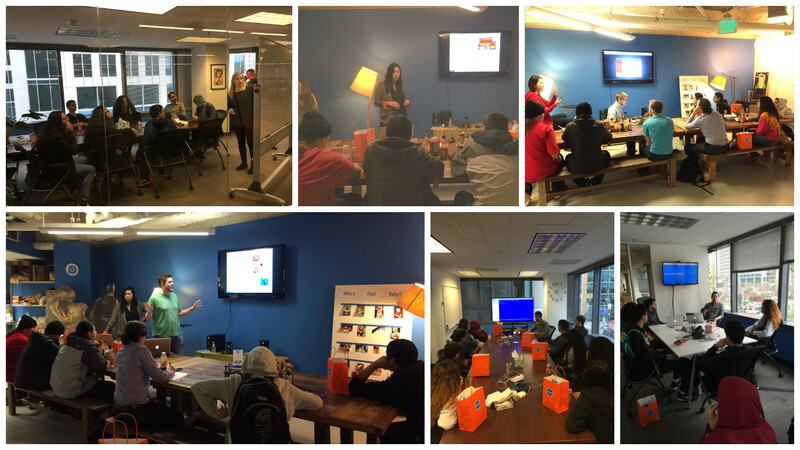 This group of CodeHS students, who were crushing their curriculum and coding like champs, deserved an opportunity to gain real world insight, so we set up the event and prepared our office to host 17 future engineers. We had a great time, and we think the students did too! 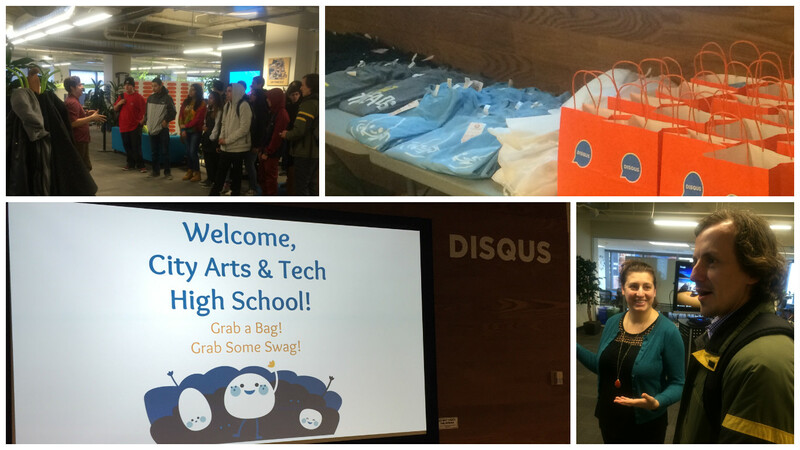 Thanks to City Arts & Tech High School for coming to hang out to learn about Disqus. You get a Swag bag & You get a Swag bag! Students and teacher were equally impressed! Once they’d gotten their fill of swag, the class was split into sections and began a comprehensive review of key roles here at Disqus. Disqussers from Data to Frontend Engineering were happy to be involved. From discussions with CEO Daniel Ha and CTO Jason Yan, to workshops with our Frontend, Backend, ata, iOS and Design teams; we were able to give them a detailed look into Disqus, the startup world and life as an engineer or designer. In the last year Disqus has been proactive in inviting and engaging local San Francisco students. I think it’s awesome because you get to show kids what’s possible and it has huge value. They might not understand it right away but I hope it inspires them. We really impressed the teens with our foosball and our fish (and our food, of course). It was beautiful to see the students able to connect the concepts from their studies in the classroom to the ideas Disqus continues to build in-house daily. 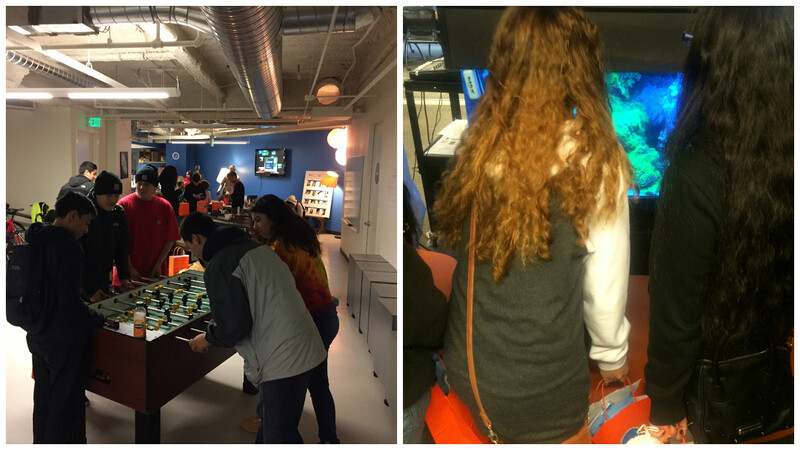 Many students left with a greater understanding of the industry as a whole and the ability to understand the ease of a tech workspace (including, of course, the foosball, ping pong, and unlimited snacks…always favorite with teenage visitors to the office). We hope that we’ve been able to expose the students to a side of the field that entices them to be greater and follow suit by making an impact. Thanks for visiting us! Thanks to Recruiter Whitney Reed for her contributions to this blog post!